A Frenchman was speaking very good English, but gave the game away by referring to the lift as an elevator. He had spent time in the US. This is a very interesting article on how in fact many words and expressions that we assume to be British or American English are in fact the other way round. And apparently the Americans are finding it fashionable to include the 'u' in words like colour! There is a fun quiz too, testing you on your knowledge (guesses in my case). My result I'm ashamed to say, was 'poppycock.' How did you do? Lots of differences are subtle. Whenever I am correcting posts on the main website I will always teach British English, though it is up to each individual whether they follow my teachings or not! I tend to leave the spellings @GemmaRowlands as both versions are correct. True - but if for example people I am teaching plan to come and study in England, they will be expected to use British spelling in assignments and exams, so I always think it is better to learn as early as possible. Actually both ways of spelling are correct, so this is something I never correct as it is a personal preference @GemmaRowlands. Showing a great example of how these two words are exchangeable in English. There are many words which are have small and big differents in writting when we compare British and American language. For example autumn (British) and fall (America).. trousers (British) and pants (America).. Apart from that exist differences in writting, also there are differences in pronunciation. I better understand of America pronunciation than pronunciation of British. Cause for that is that I watch more america films and serias than films of British, and on that way I only listening how sounds america accent. I know they are correct, but when I was at university we lost marks for writing in US English. I'm not sure whether that it just my uni, or even just my course, or whether it's more widespread than that. I suppose it never came up when I was at university (everyone just wrote using British English) @GemmaRowlands. But I can see the point of trying to get everyone to be consistent. I know that I have problems with the travel agency I write and edit text for as I have to keep reminding myself American English is their preference. While good style requires sticking to a certain variant of English this is beyond capabilities of many students of English as a foreign language, so an American word isn't a mistake in a Cambridge examination, at least I was told so. Still, people are usually taught a certain variant of English, so it's not a big problem. Yes, you're right @Practical_Severard . You can use American spelling in your answer at Cambridge exams as long as you're consistent with the style chosen. Mixing British and American English is asking for trouble. > Yes, you're right @Practical_Severard . You can use American spelling in your answer at Cambridge exams as long as you're consistent with the style chosen. Mixing British and American English is asking for trouble. Perhaps they're more strict in the Proficiency, but I've never taken it, so I don't know. Yeah, I have to be able to adapt quite quickly in my job as a writer and editor, as people do tend to have different preferences and I need to remember exactly which version I am writing/editing in! Consistency is the most important thing @Practical_Severard. I really have to make an effort to use American spelling as it I automatically use British spelling. > Consistency is the most important thing @Practical_Severard. I really have to make an effort to use American spelling as it I automatically use British spelling. No seruaunt may serue to twei lordis; for ether he schal hate `the toon, and loue the tothir; ethir he schal drawe to `the toon, and schal dispise the tothir. > > Consistency is the most important thing @Practical_Severard. I really have to make an effort to use American spelling as it I automatically use British spelling. Would this English be OK with the British professors? If the student were consistent, of course. I'm not sure if many other people would understand you if you use Middle English @Practical_Severard. It was one of the reasons why I wasn't particularly anxious top pursue studying medieval English history at university. Tudor English was far easier to read. At school we had to study the Miller's Tale in the Canterbury Tales. It wasn't the easiest text for 16 year olds to follow. Full often blessed was his myrie throte! Is the 'press' a cupboard? Perhaps if you were studying a degree in Middle England (which I believe does exist) but I will be honest, I don't have a clue what the majority of that says. Difference translations suggest slightly different results @Practical_Severard, but yes, here the 'presse' means something like a closet (AmEng) or wardrobe. And after that he sang the King's Tune. Very often his merry throat was blessed. Did you never have to endure Chaucer at O'Level @GemmaRowlands? > Difference translations suggest slightly different results @Practical_Severard, but yes, here the 'presse' means something like a closet (AmEng) or wardrobe. His press was covered with a cloth of red. noun 1. a receptacle for clothes, as a chest, wardrobe, or closet. So, in any case an element of furniture where one can put a small enough musical instrument as well as cover it with cloth. Before this time, I thought a cupboard was only for crockery! A chest however, is more like a trunk or large box made of wood @Practical_Severard. These are were very commonly used not only in the kitchen but anywhere in the home. So I am not entirely sure whether we are talking about a wardrobe or cupboard, or a large trunk. > A chest however, is more like a trunk or large box made of wood @Practical_Severard. These are were very commonly used not only in the kitchen but anywhere in the home. So I am not entirely sure whether we are talking about a wardrobe or cupboard, or a large trunk. Well, I mean the upright item of furniture, shaped as a box, used to store things which rather stands on the floor than lies. Or, maybe, it's fixed to a wall. It may be a wardrobe, a cupboard or bookcase depending on what it's used to store. 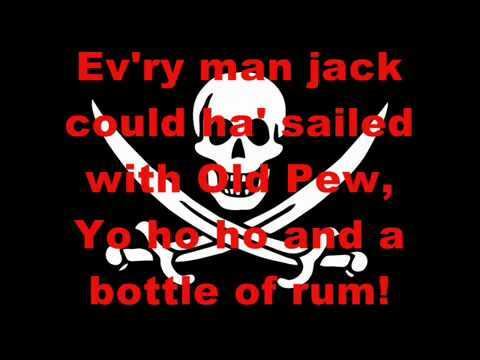 I don't think I have ever listened to or read the whole of the lyrics of this famous sea shanty before @Practical_Severard. What put to sea with seventy-five. Other variations of the poem were printed in the late 19th and early 20th centuries that though they claimed to be folklore, were just new extensions from Stevenson's original. One appeared in the Chicago Times-Herald named "Stevenson's Sailor Song" by an anonymous author and another version appeared in print as "Billy Bones's Fancy" which was an adaptation of the Times-Herald piece. Pink is usually associated with breast cancer charities rather than cancer in general - but the link isn't so strong that you would automatically think "cancer" whenever you see a pink flower. Yes you are correct I should have corrected it but typed too fast and posted it without really thinking. This is an interesting video showing Americans trying to pass off as British! She did a stunning job of it in Bridget Jones. There's only one word that I noticed she sounded American, which is where she said "affectionate". I have to laugh at some of huge cultural differences between Europeans and Americans. I have a few American friends in Nice and they never cease to surprise me. I was a bit flummoxed by an American I bumped into in a cafe last week, who used 'Wow' to start every other sentence! For our foreigners, American English is easier to understand and follow, compared with British standard English.